St. Patrick (March 17) and St.Joseph (March 19) pray for us! Thank you to Aidan Erive, Danielle Erive and Anthony Szarpa for representing our school in the Knights of Columbus Council 29 Annual Geography Bee on Saturday. 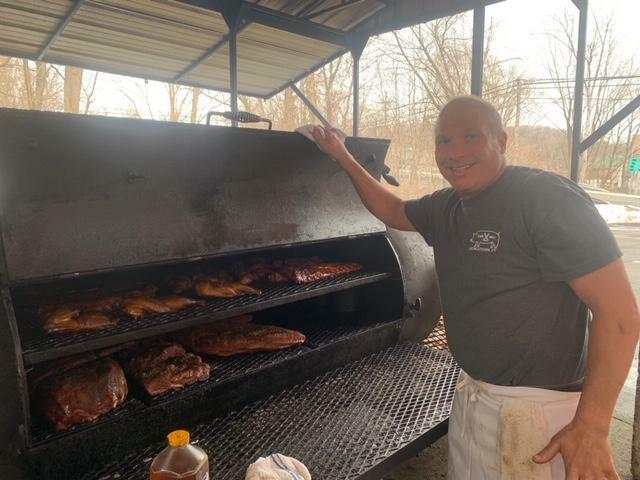 The Backyard BBQ event is this Saturday, March 23rd! We are able to extend the registration through Wednesday, March 20th, so for those of you who have not purchased tickets you still can! Click here for tickets. Don't miss out on a great (adult) night out, amazing BBQ (check out the picture of Gino from The Wire Mill) and fantastic auction items. The Lenten School Mass is this Wednesday, March 20, at 10:00AM. The celebrant of this Mass is Fr. Sunil, parochial vicar of St Matthew Parish. The Sacrament of Reconciliation was cancelled last week and rescheduled for Tuesday, March 26, at 10:00AM. Pastors from the local parishes will be here for a Prayer Service and confessions. All are welcome to come to the chapel on Tuesday mornings during Lent at 8:00AM to pray the rosary together for the intentions of the All Saints Catholic School Community. Please sign in at the office when you arrive. All information regarding these photos can be found here. The All Saints Catholic School Home School Association is sponsoring its 10th Annual Cash Raffle! Tickets are on sale now. First prize is $5000; Second Prize is $2500; Third Prize is $1500 and Fourth prize is $1000. Tickets are $25 each and only 2000 tickets will be sold. This is one of the mandatory fundraisers as stated in the School Handbook. If you have not participated in the $200 opt-out, you are required to buy/sell four raffle tickets. If you are having a difficult time finding someone to buy your raffle tickets, please contact the school office for help. The Cash Raffle drawing will be held on March 23rd, 2019 at All Saints. To purchase raffle tickets, send in the completed ticket request form with payment and your ticket (s) will be mailed to you. The Harlem Wizards Game has been rescheduled for Wednesday , March 27, at 6:30PM. Tickets purchased for January 30 will be honored that night. Additional tickets are for sale online now.Souvenirs and food will be available too! It's a great show. Worth the wait! Don't miss it! Please join us on Friday night, April 5, for this year's "Art Show." Students in Grades PK3 through grade 5 will showcase their artwork in beautiful frames in the gym. Frames with student art will be available for purchase for $25 by check made payable to All Saints Catholic School. Please arrive prior to the closing time because the breakdown begins promptly at 8:30PM. More information can be found on the school website. The third marking period ends on Friday, March 29. Please be sure to reconcile your financial obligations to the school. The Drama Club will be presenting three performances of "The Little Mermaid" on Friday evening, April 5 at 7 PM , Saturday evening, April 6 at 7:00PM and a matinee on Sunday, April 7 at 2 PM. Thank you to Mrs. Maurya Brown, our music teacher and Drama Club moderator. The students have been working hard since September. Please plan to come out to see a great performance! Tickets go on sale today! Click here for information to purchase ticketsor pick up an order form in the office. Looking for something fun for your child for the summer? 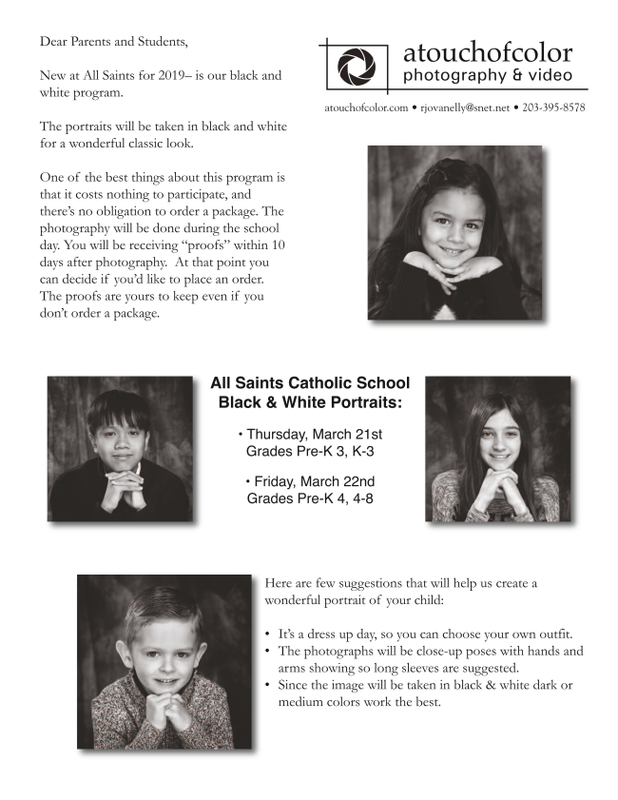 We are offering several options right here at All Saints. For children ages 4 and 5, where they will explore a variety of musical styles from classical, to jazz, to pop music while transforming melodies, rhythms and emotions into a little masterpiece full of color using different techniques and paint appropriate for their age. At the end of each week, we will have an art show with their work. Click here for dates and registration information. For children entering grades 1-5. This program is designed to get kids to tap into their creative side with arts and crafts, as well as becoming physically active while taking part in gym games and sports. The focus will be on using each individual students creative ability to work on fun, hands on DIY projects. They will also learn to show good sportsmanship, cooperation, and how to be a team player through a variety of games and sports.